The neck is a very sensitive area and considered an erogenous zone – I wonder if this is why we decorate ourselves in this area. Yes a necklace can draw attention to the cleavage but mostly we want to choose the perfect necklace to accent our femininity, look elegant and just to feel pretty! Accessorizing appropriately is the key to fashion success. 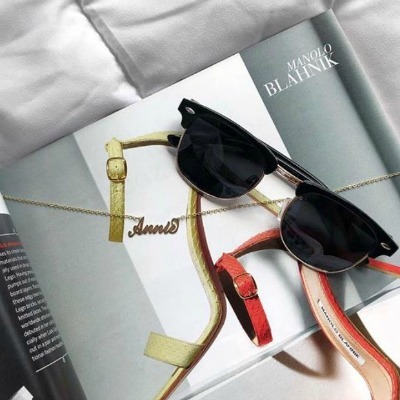 You can put a great look together but it's the accessories that add your own personal style and elevate it to something special! Necklaces in particular can be surprisingly difficult to get just right. If you enjoy big bold costume jewelry there are lots of dramatic statement necklaces around to add color and glamor to the simplest of outfits. 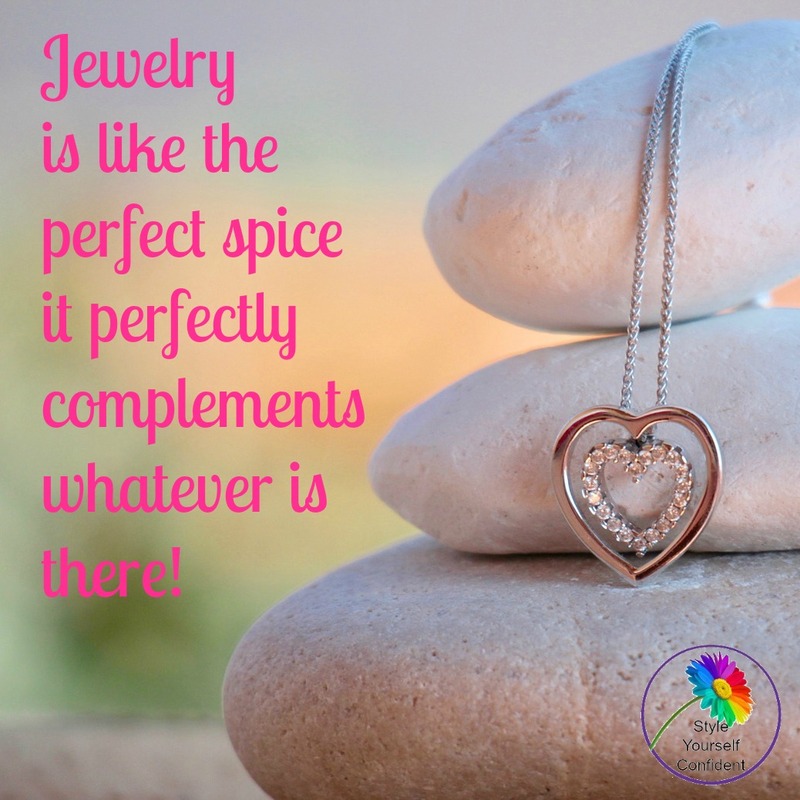 But many women find large pieces of jewelry completely overpowering. If your taste is more classic then you may prefer something neat that will enhance any outfit, always look elegant and remain timeless. Classic doesn’t have to be boring - it all depends on your individual style! Diamonds are forever and often the first choice for the engagement and wedding rings that symbolize ‘eternity and love’. A pearl necklace can look beautiful if you keep your look understated but match it with the wrong outfit and it will look out of place. If you prefer bold color and cutting edge design both of these classics can be found in more modern designs. The whole point of wearing an accessory is to inject a bit of your own personality and creativity. If you're choosing a personalized gift like a name necklace rose gold is one of the best materials to choose because it suits absolutely everyone whatever their skin tone. You can choose to feature a significant date, celebrate a birth or wedding, choose an initial or a full name. Made in the London's Covent Garden, quality is never in doubt and a personalized gift shows the love and care behind the gesture. Ready to choose the perfect necklace to complement your outfit? The main factor is to consider the neckline. The usual rule is to echo the shape of your neckline with the necklace and, once you recognize that, you can begin to make the shapes work for you. 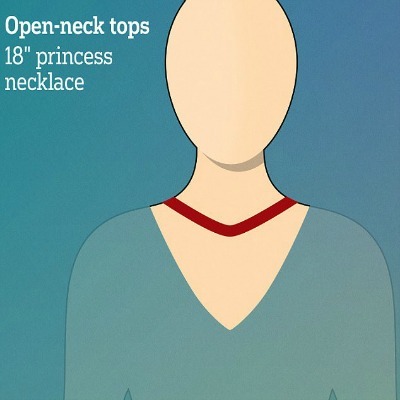 Wearing a choker with a high neckline will shorten the neck area whereas a V neckline with a longer pendant will bring the eye down and elongate the whole area. Think about your outfit and your body shape and decide which parts you'd like to highlight and choose your necklace accordingly. The choice of material usually comes down to whether you’re going for a formal or a casual look. As a general rule more ornate necklaces with a lot of stones look best with a formal outfit, while casual outfits will benefit from a simpler design. There’s no right and wrong of course, go with what feels right for you and experiment - but loads of diamonds might look a bit out of place with a casual t-shirt and jeans combo!